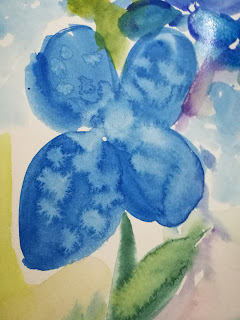 It's really fun and we'll go through a simple flower, to learn tricks to make it easy peasy! Paper, Pencil, Kneadable rubber( so no marks on paper).Any soft rubber will do. Make light lines. Mine are dark so you can see the gaps. Choose paints! Camel or any brand paints preferably Artist's grade. The pigment is softer and more transparent. 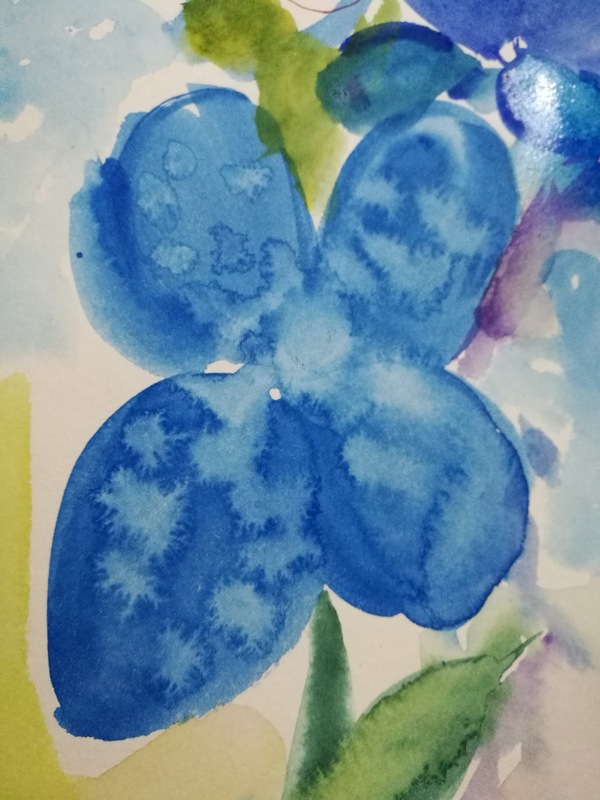 I often use Prima watercolour confections. Awesome colours! Especially for night sketches and practice which often becomes my final artwork! Draw a simple flower, only leave a few gaps here and there. This will let you loose that tight control and let you give up the fear of watercolours. This is a basic flower. You could draw any. Only remember to leave gaps in between the drawing! 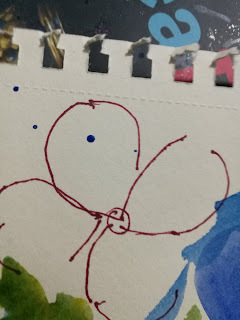 STEP I Draw any flower shape with broken lines(this will help you not to think about lines. Let your brush lead you! Put the background in! Previous pic also shows you that. Use watery paints and just drop it in! See that your flower is dry before you do that. You can use your hair dryer or heat tool, but i prefer to dry naturally so the interaction between the paint goes on without interference. Tip: Don't brush the colours over and over. Gently stroke in the colour of your choice. Add more after it dries to darken the flower! This was our first step by step. Very simple and easy. Use as much water as you need. This is your exploration stage. Let your kids and family join you. Don't correct kids. Each person is unique and grasp the medium, soon! Don't berate yourself. Remember it's a splash of fun! Please put your comments in the comments section or give me your inputs. Pm me. I'd love to know your experience! Post your work here and get READY.. to paint a SKY!😍 with clouds and natural wash! Invite your friends and the whole family to join in the adventure of mastering watercolours step by step. Learning to me is a life long process. I make mistakes and then get back to it with even more gusto!